Get cheaper line rental and big monthly allowances with a SIM only deal. Available on shorter contracts, such as 12 months or 30 day rolling, you can choose a new connection, or upgrade to keep the same number. 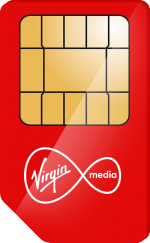 A SIM Only contract means you're purchasing just a SIM Card, and no handset is included with the package. SIM Only contracts are cheaper than a normal phone contract, because you're only paying the cost of your connection and monthly allowances. They are a great way to save money and avoid being tied into a long agreement. We offer SIM only deals on a range of networks, so you're never short on choice. One of the best things about a SIM Only contract is the flexibility. 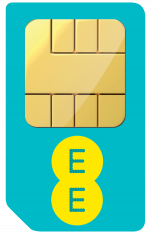 Compared to standard phone contracts which are normally 24 months, SIM Only contracts last for either 12 months or roll on a one-month basis. So when you feel the urge to change your phone to the latest handset on the market, or decide you need more data for the next few months, you have the flexibility to do this as and when you decide. SIM contracts are a fantastic way to build up your credit rating. Our 1 or 12 month rolling SIMs can help you to be accepted for a mobile contract, if you're experiencing difficulties passing the credit check. Just make sure you settle your bills on time each month to notice the benefit. For more information about building good credit, see our guide to help Improve your credit rating here. Having a SIM only contract means you can keep the phone you know and love, while reducing your monthly bills. 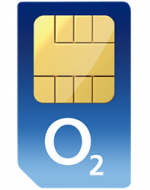 It is becoming increasingly popular to buy your phone outright, as SIM Only contracts mean less to pay each month. To compliment your SIM Only deal, check out our range of SIM Free tariffs here. 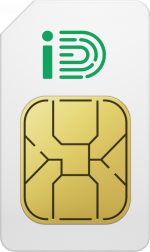 iPhone and Android users can both enjoy the benefits of going SIM Only. All SIMs we dispatch are combination-SIMs, so they can be made to fit any size SIM slot on any handset. Can SIM Only deals save me money? Yes they can - SIM Only deals are generally cheaper than mobile contracts. But we have covered all bases at e2save, so you can take our regular contracts, upgrade to a brand new device or even try a Refurbished Phone to get extra value. Yes, it's no problem if you want to keep your existing mobile number. Just contact your current network to get a PAC (Porting Authorisation Code) number, then contact your new network, who will port your existing number across. Can I upgrade to a pay monthly SIM? Yes, upgrades don't always have to include a new phone. If you're happy with the phone you've got, SIM only upgrades help you save money on your monthly bill. If you're not sure whether you're ready to upgrade, just call us on 0871 521 1420 and our advisors will be happy to help. Calls will cost 10p per minute plus your telephone provider’s access charge. What about SIM card sizes? There's no need to worry about if your new SIM will fit your existingphone. 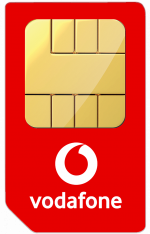 Traditionally, there were 3 sizes of SIM Cards, Standard, Micro and Nano. However here at e2save, we always dispatch Multi-SIMs, which fits all sizes of phones.